Art at Reading has a new digital platform to connect staff and students. 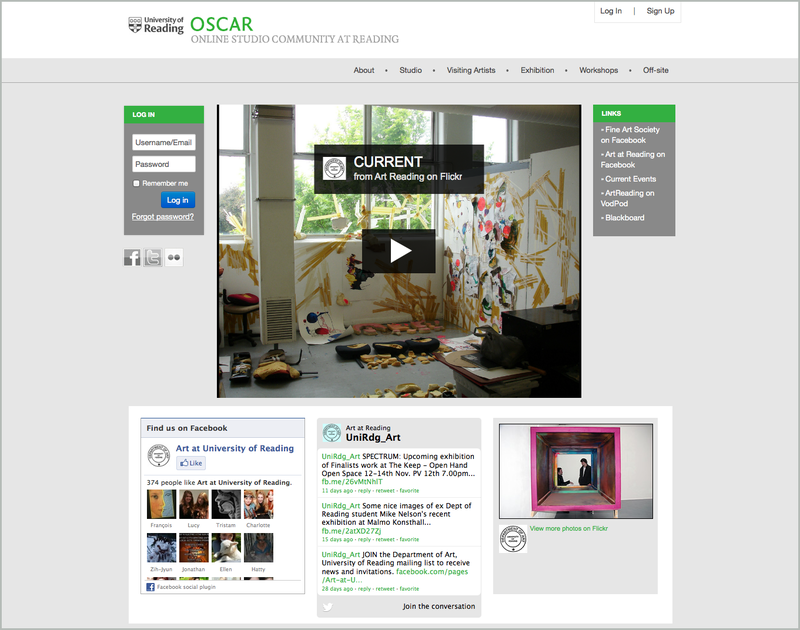 OSCAR, the Online Studio Community at Reading, has been developed to support the vast range of teaching and learning activities that happen across studio modules in Art, within the department itself but also off-campus and internationally. 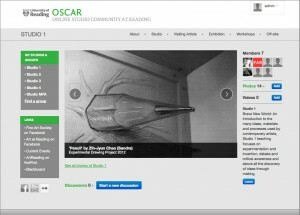 This entry was posted in Digital community, Employability and tagged Blackboard (VLE), Christine Ellison, Department of Art, Facebook, Flickr, Nadja Guggi, Online Studio Community at Reading (OSCAR), OSCAR, Teaching & Learning Development Fund (TLDF), TLDF, VLE. Bookmark the permalink.